The Difference Between a 5881 and a 6L6GC Valve? Have you ever wondered about the difference between the 6L6GC valve and the 5881 valve? The 6L6GC Guitar amplifier Valve. It can seem so confusing! Some forums say the 5881 is equivalent to the 6L6GC and others say not. You can be left wondering if the 6L6 a ‘like for like’ replacement for the 5881? 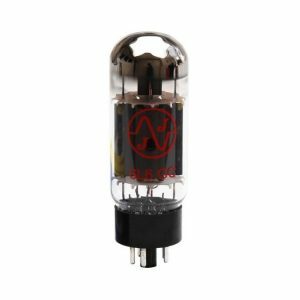 You are probably reading this because you are considering making a tube change in your guitar amplifier, maybe to have a play around with different tube sounds? By the way, if your only interest is buying new 5881/6L6GC power valves we are one of the leading suppliers. To unravel this, first let’s look at the various types of 6L6 valve. There are several in the sequence as manufacturers gradually improved it over the years and discovered new ways to push the tube to higher powers. RCA’s first version of this tube was an early ‘octal’ base tube. Like most with this base, it had a metal, rather than glass, envelope. Later versions, including the 6L6G, 6L6GA, 6L6GB, 5881, 5932, 7027, and the final version 6L6GC had glass envelopes, which made radiation cooling of the anode easier. You can immediately notice that the 6L6 and 5881 are in the same family of valves. They are part of the general evolutionary process for this particular valve. So they are similar, but not identical tubes. In other words, there are no 6L6 tubes which are identical to the 5881 tube. So what are the major differences between them? And I guess the important question is “Are they interchangeable?” In the above sequence, you’ll notice the 5881 is next to the 6L6GB so let’s look at the 6L6GB first and see what characteristics it has. The key point here is the maximum plate dissipation of the 6L6GB valve. This is 23 Watts. Putting it into lay person’s language, think of the 6L6GB valve as a 23-watt tube. The 5881 tube is next in the sequence to the 6L6GB. Here’s the key point – it has the same plate dissipation as the 6L6GB. Putting it into lay person’s language, think of the 5881 valve as a 23-watt tube. So the 5881 valve has the same power rating as a 6L6GB valve. It also has the same maximum allowed plate voltage. 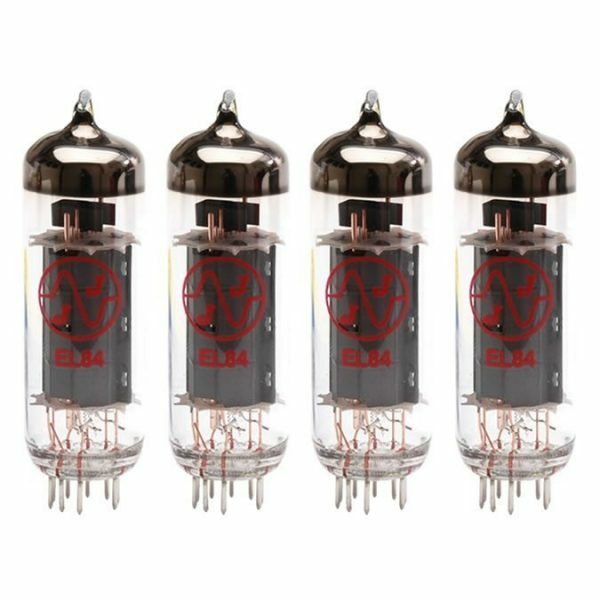 So what is the difference between the 5881 tube and the 6L6GB tube? Answer: military ruggedisation. So the 5881 is built to withstand high g-forces as it was used in Russian fighter jets amongst other applications. So the 5881 is a rugged version of the 6L6GB. So far so good. What about the 6L6GC which is the latest version of the 6L6 family tree? The manufacturers gradually pushed up the voltage and power rating of the 6L6 series. They did this by adding features like thicker plates, thicker grid wires, grid cooling fins, and special ultra-black plate coatings. 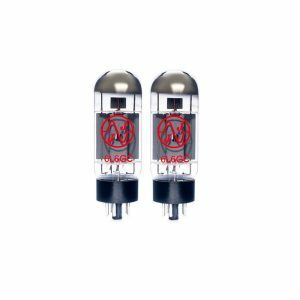 The original metal version was rated for 19 watts dissipation while the later 6L6GC is usually rated for 30 watts. A “W” in the descriptor, as in 6L6WGB, identifies the tube as designed for mechanically rugged environments. By this we mean military applications or airborne use – we are not talking guitar amplifiers here. How does the 6L6GC valve differ from the 5881 valve? In two ways. One important (as far as normal audio applications are concerned), and the other not so. The 6L6GC is not ruggedized. The 5881 is ruggedized. Does that matter? Not unless you are subjecting your amp to high g-forces! My view is that the 6L6GC is perfectly rugged enough for all normal applications. After all, it is used in tens of millions (literally) of amplifiers. 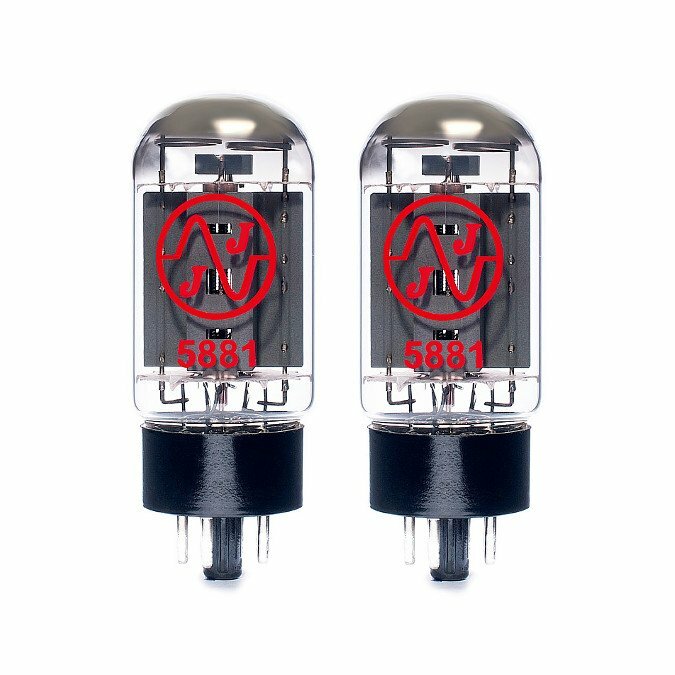 Now the important differences between the 6L6GC tube and the 5881 tube is plate voltages and power dissipation. 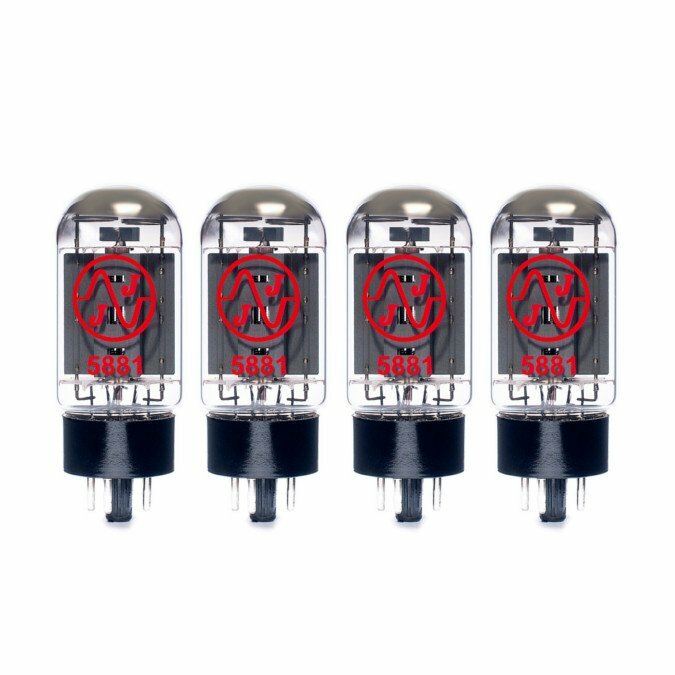 The 6L6GC tube is a 30W valve. The 5881 valve is a 23W valve. So that’s quite a big difference. So the 6L6GC will give you more power and more clean headroom. The 5881 should break up earlier. You may like that. The 5881 SHOULD be ok with the plate voltages found in most guitar amplifiers designed for the 6L6GC. However, this is not guaranteed so you do risk blowing your 5881s if you put them in an amp designed for the 6L6GC. 6L6 Versus 5881: So what’s The Conclusion? You’re fine to swap out 5881s and replace them with 6L6GCs – that’s an upgrade in valve power rating and plate voltage. I’d be careful putting 5881 in an amp designed for 6L6GC as you are downgrading the valve – putting in a weaker component if you like. I’m talking electrics here, not mechanicals. We’ve already learned that the 5881 is more rugged than the 6L6GC. I hope that has been useful input on 5881 tubes vs 6L6. 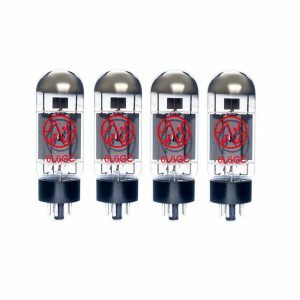 People like to experiment of course but do be aware that you risk trashing a set of tubes if you use the lower rated tubes in a higher rated amplifier. Warning: Whenever you change the valves from those designated by the manufacturer you should always bias your amplifier. This is to avoid the risk of burning out the valves or damaging your transformer. If you have any questions please get in touch. Where can I buy 5881 or 6L6 valves? We are one of the leading suppliers of guitar valves across the World. If you would like to purchase 6L6GC or 5881 valves please click on the links below. Thanks, your explanation has been a great help to me in understanding the difference between the two! Almost impossible to hear the differemnce! Particularly on crappy PC speakers. For this reason, I’ve replaced the 6V6’s by the 5881. The sound is superb and the performance is great. 5881 s have worked well and lasted longer than gt6l6ge tubes in 63 bassman , 59 ltd bassman and twinolux 57 twin . 5881 s tame harsh loud amps ,while balancing amps e q with smooth vintage tone .sovtek 12ax7wa go well with 5881s. Gt6l6ge sound great but the higher 9 rating can’t be found currently .5881 pair 40 bucks reissues. You need to rebias the amp if you change tube types. That should be done by a professional or at least someone who has a lot of experience in rebiasing amps. Don’t just change the tubes. You could potentially burn the tubes out fast and maybe blow your output transformer with the tubes. I wouldn’t risk it. We agree with you, your amplifier may be damaged if you make changes without the proper setup / biasing. We do sell biasing manuals for popular amplifiers which describe the entire biasing process and dangers of working with high voltage amplifier equipment. We have updated this article to show these points to future visitors. If anyone is not 100% confident to work on their amplifier themselves then a music shop or local amp repair specialist may be a good way to go. Simply order your new valves and take these along with your amplifier to have them biased correctly.